Mikko Koivu to miss rest of Wild season with a torn ACL and meniscus in his right knee. Minnesota Wild captain Mikko Koivu will miss the rest of the season after tearing a ligament and cartilage in his right knee. 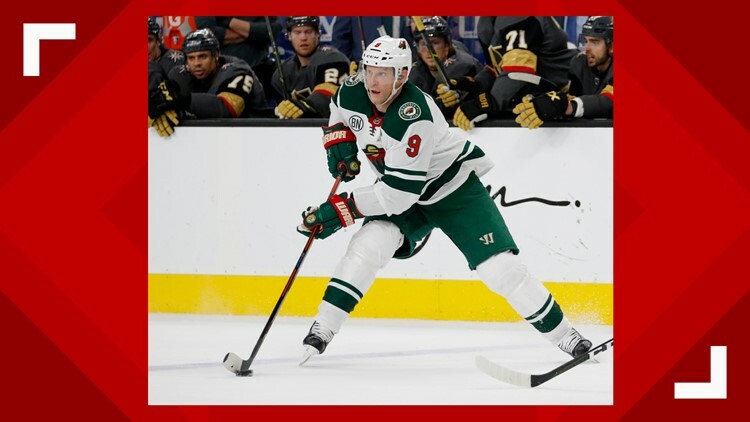 Koivu tore his anterior cruciate ligament and meniscus, and is expected to have surgery Friday, the Wild announced Wednesday. He was hurt a day earlier while colliding with Sabres forward Tage Thompson in the first period of Minnesota's 5-4 shootout loss at Buffalo. Koivu has spent his 14 NHL seasons with Minnesota, and is the franchise leader in numerous categories. The 35-year-old Finn had eight goals and 21 assists in 48 games this season. He also leads the team with 488 faceoff wins and is tied for second with 12 power-play points. The injury comes with the Wild going 0-1-2 in their past three games and preparing to host Edmonton on Thursday night. Minnesota is seventh in the Western Conference with a 26-22-5 record and 57 points, three ahead of eighth-place Vancouver.